Properties of nested saturation are defined as for a poset to be the existence of a sequence of chain partitions in . 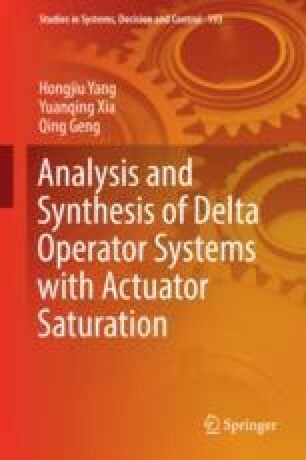 Nested saturation will arise if an actuator is subject to magnitude and rate saturation simultaneously . A nested saturation function method is inherently improved to develop a controller, without requirements on memory of past input and prior information of time-varying delays . A saturation-based switching anti-windup design has been proposed to enlarge the DoA for a linear system subject to nested saturation . Both sensor and actuator amplitude limitations can lead to nested saturation for a closed-loop system . A nested nonlinear feedback law has been given for global stabilization of a multiple integrators system . Some problems on characterizing quadratic stability for hybrid systems with nested saturation have been addressed in . In , nested saturation-based control has been also considered for actuated knee joint orthosis.